St. 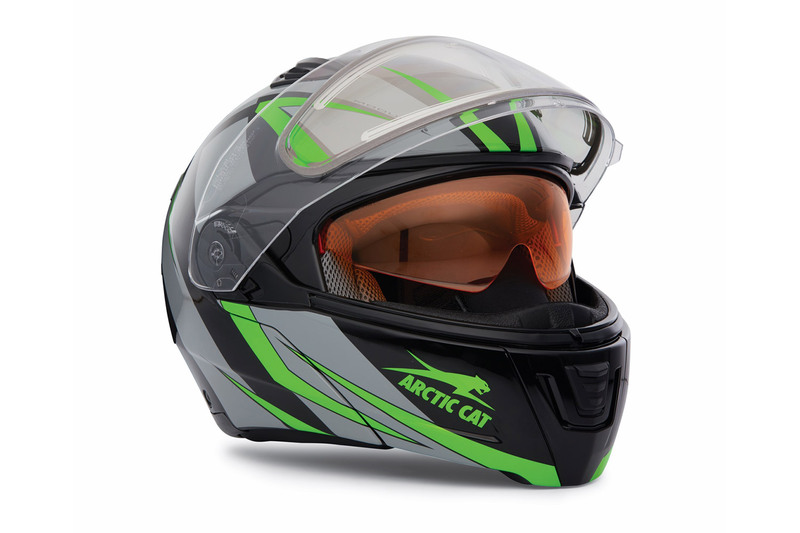 Cloud, Minn. (July 18, 2018) – Enjoy warm, quiet head protection and fog-free viewing with the new Arctic Cat Modular with Electric Shield. It’s constructed with a thermoplastic injection-molded shell and features a secure flip-up chinbar that’s easily operated by a front-center lock tab. The dual-lens electric shield comes with a coil and power cord for plug-and-ride convenience fog-zapping performance. 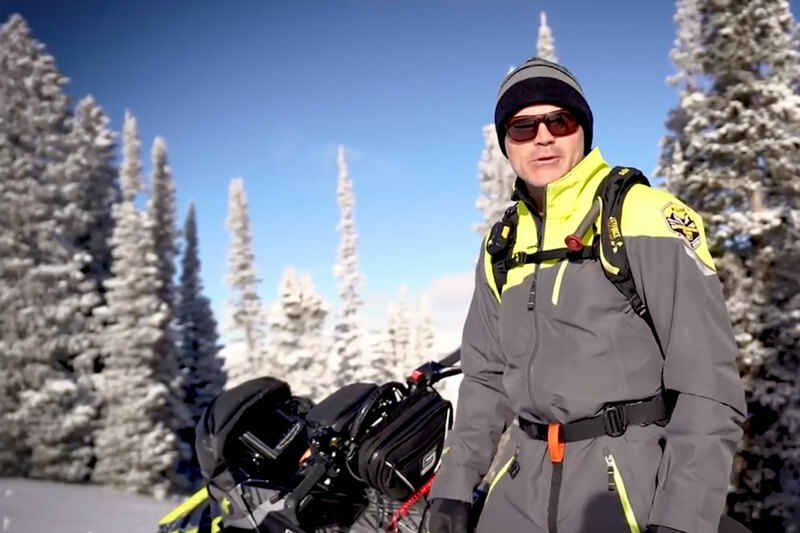 Riders can easily customize the interior airflow with adjustable chin vents and removable breath deflector and chin curtain, while the integrated retractable orange sun shield provides optional versatility and eye protection. Meets DOT standards. It’s available in Green, Black, Purple, Orange and Solid Black in XS – 2XL sizes. The MSRP is $247.95 U.S./$335.95 Canada.